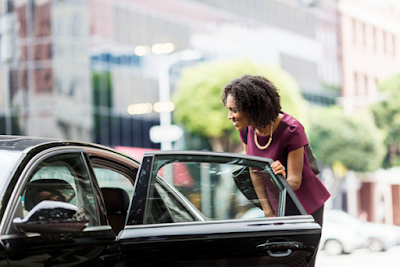 From exploring new places to rediscovering your favourite things about the city, Uber can take you there...in style! Uber is a technology platform that connects riders to drivers in minutes! Uber currently operates in over 400 cities worldwide and has been in Lagos for two years. Uber recently launched in Abuja and is looking to expand its footprints across Nigeria whilst reforming the way people get around the city. The safety and comfort offered by Uber to Nigerians is something we want everyone to benefit from and the convenience is next to nothing! If you are yet to join #UberEverywhere, why not download the app today and enjoy up to N2000 off your first two rides! This offer is valid until Sunday only! To take advantage of this offer, simply download the Uber app on the App store for iphone users and the Google play store for android users. Sign up using the code “MOVENG” and you are ready to request a ride and move around in style. Moving around has never been easier! Cruise in a 2006 Toyota camry, Kia cerato or Honda accord with our low cost UberX option or pull up to the scene looking extra fly in our premium UberSELECT option. You can pay either cash or card, it’s totally up to you!